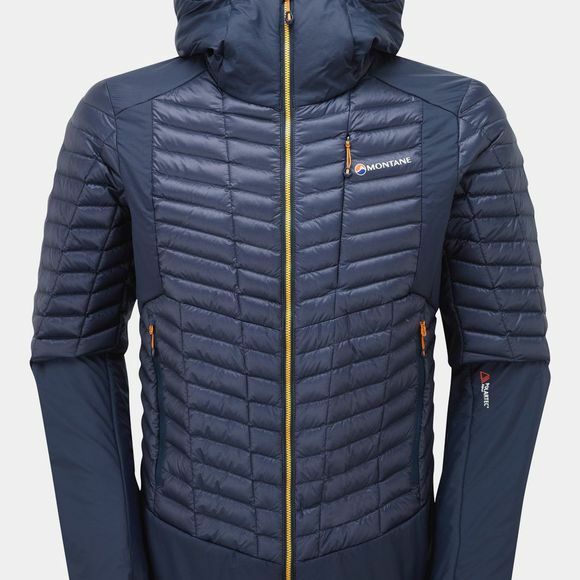 The Men's Quattro Fusion Jacket from Montane is a warm, windproof and breathable jacket for technical pursuits in the outdoors. 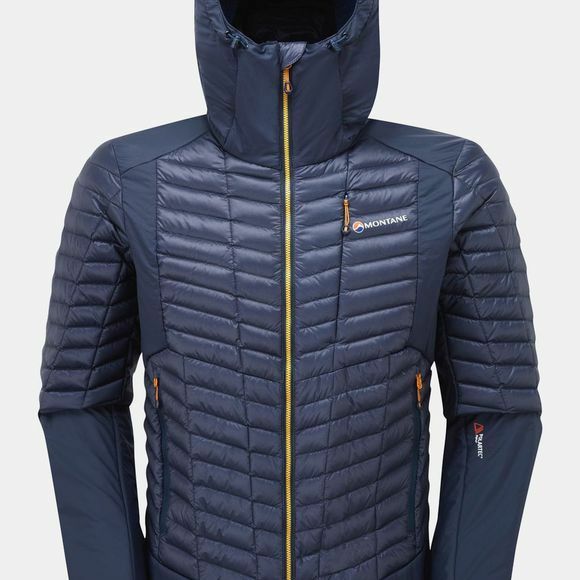 HyperDown insulation along with Polartec Alpha Direct fleece is body mapped to ensure the best performance of each in key areas of the body. The hydrophobic down sits in areas that require more insulation and is encased in Pertex Quantum Pro fabric for excellent durability as well as protection against wind and light rain. The Polartec Alpha Direct fleece compliments the down and is positioned in areas that require more breathability, it is backed by Pertex Quantum Air to maintain enhanced durability as well as protection from the wind while having exceptional breathability. The full length zip of the jacket makes it easy to get on and off quickly while the low profile cuffs, hood and hem allow it to be worn underneath a shell when the weather really takes a turn for the worse. The hood is adjustable and can be cinched in when required while the zipped pockets will stash essentials when you are on the move.